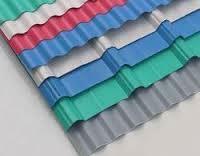 Providing you the best range of colour coated sheets, coated profile sheets and mild steel colour coated sheets with effective & timely delivery. We are the leading trader and supplier of Colour Coated Sheets. These sheets can be customized as per the client specifications and are available in multiple colors to suit the demands of clients. These sheets are designed to withstand varying outdoor elements such as moisture, sunlight, rain and many others. Moreover, these can be availed at industry leading prices. 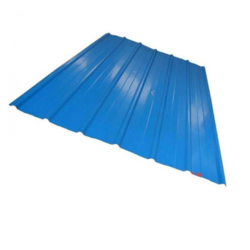 Coated Profile Sheets offered comprise quality finished color coated corrugated steel sheet that provide support as roofing steel and come developed using modern production line and advanced processing technology so as to provide flawless finish in the products. Further, these can be offered in colors as per the sample provided by customers. 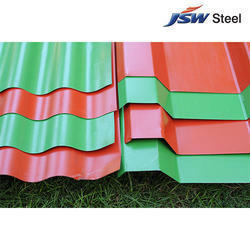 Some of its features include available in thickness choices of 0.13mm to 2.0mm, zinc coating support of 30g/m2 or others; width options of 600mm to 1250mm, choice of different lengths as demanded by customers, different surface treatment choices like chromate treatment, chromate-free treatment and others. Mild Steel Color Coated Sheets offered can be made available in customized width and length options as well as in any standard color and size as demanded by the customers. Further, these feature galvanizing finish as per JIS, ASTM, EN standards as well as come with coating choices like PE, PVDF and others. Some of its features include steel thickness of up to 1.2mm and coil weights of up to 5 Ton; provide for quick installation support, light weight finish, high strength and long service life, superior corrosion resistance and others.